Well, we hope everyone had a great thanksgiving! I have always liked thanksgiving, getting together with friends and family, pigging out on great food, and none of the pressures of gift selecting, shopping and giving that Christmas brings. It is always a good time to reflect on the many blessings in your life, and I spent a lot of thought time on it this year. We are so blessed to have been given our lot in life, with great families, wonderful children and grandchildren, and the opportunity to make your own life with the freedoms this country offers. We have been given many opportunities in this life and we worked our butts off to achieve the lifestyle we have enjoyed. The many setbacks and challenges in life are also blessings in disguise, as they strengthen you and also lead you in different directions. We have certainly had our share of those too. There are so many people to thank along the way, especially parents and the people who sacrificed to give us the freedom and opportunity we have, but I especially thank God for all that has been given to me, especially all of the opportunities to earn the life I have. In cruising mode, we miss our family and friends back home very much this time of year. But, we have also been blessed with close friends that we travel with, and the cruising community. Our little flotilla had a great feast yesterday…each boat cooking different portions of our meal, and then getting together to eat and enjoy our friendships on Kurt and Sharon’s boat, Steel Away. 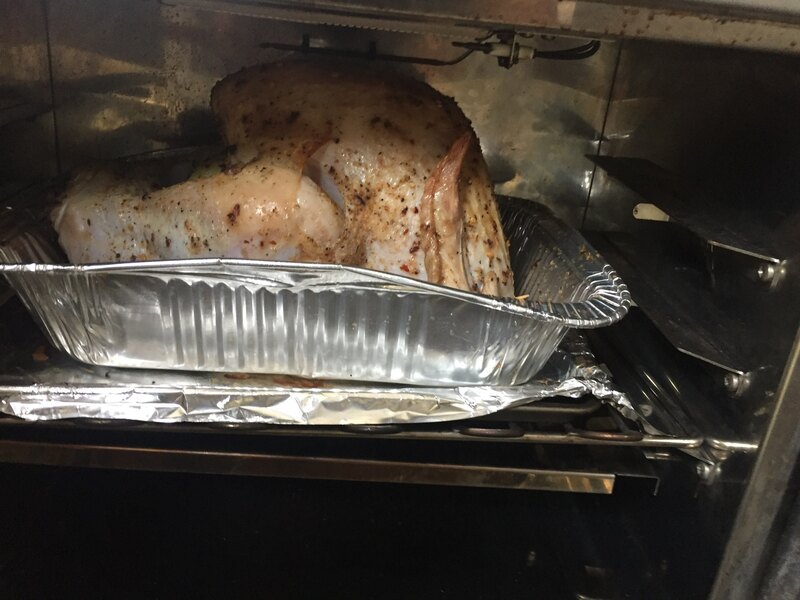 Yes, we all have Lilliputian ovens and stoves but you can still cook one hell of a feast! Here is a shot of the marina. It is very nice and the people who work here are amazing! One of the best marina experiences we have had in our years of traveling. We were going to leave today, but a gale warning was posted for today, and we decided not to get our asses kicked and stay one more! 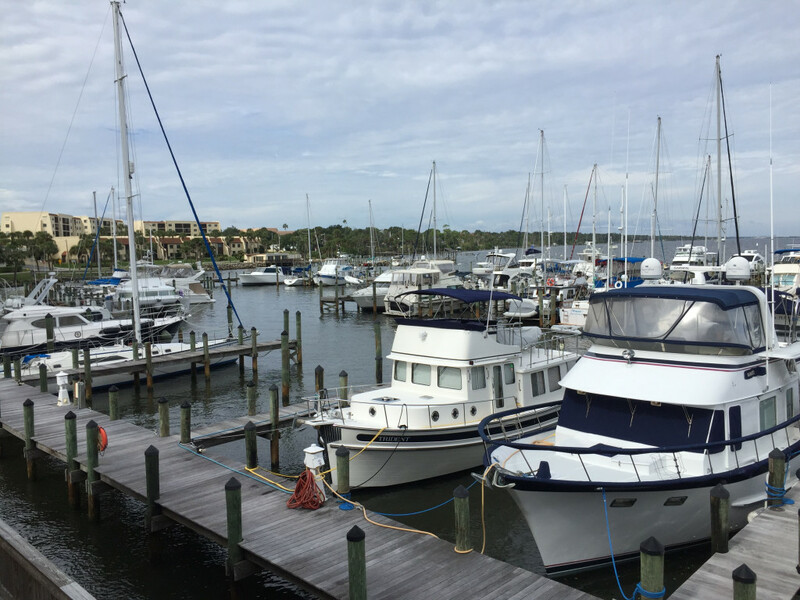 This entry was posted in Florida, ICW - Intracoastal Waterway on November 23, 2018 by bwehmer. We’ll said Bill! Still hope to see you guys this year. In the mean time stay safe & keep updating us. 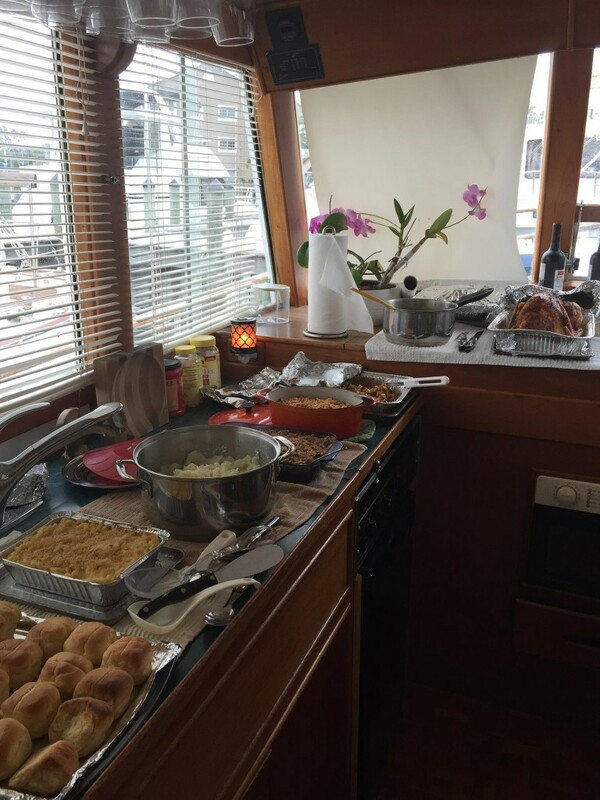 The best Thanksgiving I have seen on a boat! WOW! Outstanding job.